SD-WAN is a new generation of technology designed to overcome the shortcomings of conventional branch-office networking. Much like virtual servers using software to replace racks of dedicated hardware, SD-WAN abstracts a physical network into the virtual realm. Virtual servers and software-defined networks are far easier to configure, support, and upgrade than their hardware-based peers, so IT departments of all sizes are embracing them. These are just some advantages of SD-WAN. Small and mid-sized businesses with branch offices are excellent candidates for SD-WAN because it reduces costs and simplifies their network operations. Until a few years ago, most organizations connected to their branch offices via MPLS (multiprotocol label switching). While MPLS can deliver high performance, it’s costly to configure and maintain. It’s also poorly suited to the rise of cloud applications. Branch office personnel on MPLS networks often encounter service blips such as voices cutting out during a VoIP conversation, or latency interrupting a video conference. Because so many people depend on cloud-based apps such as Salesforce and Microsoft Office 365, they need networking technologies that plug the gaps of MPLS. That’s where SD-WAN comes in. 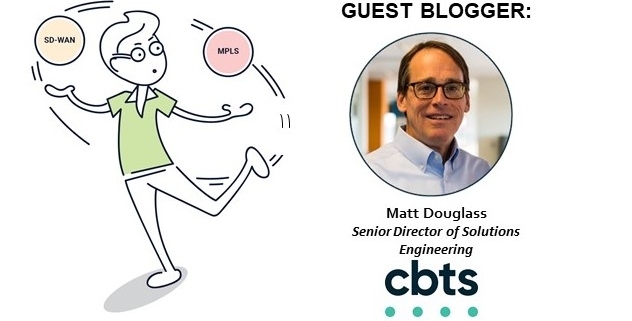 SD-WAN technologies allow small and mid-sized companies with branch offices to leverage public Internet services, which typically offer plenty of bandwidth at a far lower cost than MPLS. That’s an attractive proposition because of the time and expense involved in servicing and configuring an MPLS network. MPLS requires IT resources to visit the branch office and work through a list of manual chores when setting up the network, or updating the network to add hardware or software. SD-WAN uses single network equipment that connects a branch to the main office and the public Internet. The SD-WAN technology can be managed and supported via a web interface, which dramatically reduces the number of technician visits. Much of the configuration is automated, reducing support costs. MPLS delivers a high-speed connection to a single application. Unfortunately, performance degrades if users must deploy multiple applications over a network. Thus, the widespread use of cloud applications is a poor fit for MPLS networking. MPLS delivers powerful network performance in narrow circumstances. Traditionally, organizations have used the Internet only as a last resort because MPLS outperformed the public Internet. But the low cost and rising capacity of Internet bandwidth created an opportunity for SD-WAN. SD-WAN technology analyzes and rebalances network traffic in real time. SD-WAN anticipates the packet loss that degrades Internet service and delivers a digital workaround. The result is users enjoy high performance and low latency across all of their cloud-based apps. Organizations with remote offices may have dedicated security devices. Typically, SD-WAN equipment has this security functionality built in, and SD-WAN equipment also can encrypt data in transit, bulking up network security. SD-WAN delivers features and performance that small organizations with limited IT support could never afford in years past. The advantages of SD-WAN allow smaller organizations to level the playing field with corporate giants. SD-WAN offers multiple benefits, but it takes substantial IT acumen to configure it properly, optimize it for peak performance, and support all of your branch office users. Many organizations depend on a managed services provider to support SD-WAN. Instead of investing in new networking hardware, consider partnering with a service provider that will install, configure, and manage your SD-WAN, helping you make better use of your finite IT resources. 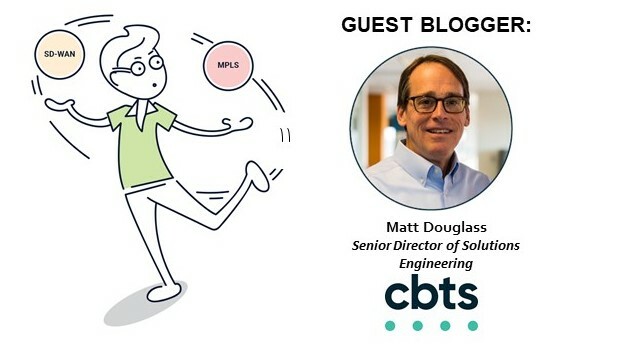 As longtime experts in configuring networks and designing systems for enterprises of all sizes, CBTS has the skill to deliver SD-WAN performance that meshes with your precise business needs. We will ensure that your users have access to their favorite cloud apps, and that you have the necessary networking technology. CBTS partners with VeloCloud, a top provider of SD-WAN technology, to deliver SD-WAN as a managed service. Matt will be representing CBTS as one of the presenters at our upcoming Tech Expo. Be sure to visit the CBTS booth to gain more insight from Matt on the benefits of SD-WAN technology.